Start your day early; get picked up at your hotel or meet the group at the centrally located meeting point in Split or Trogir. A scenic route across the border takes you through some picturesque villages of the rural Bosnia and Herzegovina as you approach the fantastic little city – Počitelj. This small medieval town was built on a rocky cliff on Neretva River and it gives a great overview of the Ottoman Empire and the affect of the eastern culture on small town in this zone. The ride back to Split leads you through the rocky landscapes of Herzegovina all the way to the amazing natural wonder known as Kravica Waterfall where you can enjoy the amazing landscapes, and perhaps even jump into the refreshing waters of the river to cool down. After arriving in Split or Trogir you will be dropped off at the same place where you were picked up in the morning. This was a wonderful trip. Our driver, Boris, was delightful and the trip was well planned. Although the trip takes a full day, we at no time felt that we had been travelling for very long. Boris stopped for a few minutes on the way into BiH so we could stretch our legs, use the toilets or buy a coffee. It was then not long after crossing the border that we had our first stop in BiH: Pocitelj. We had an hour here which was perfect timing: enough time to explore this amazingly place at a leisurely pace and get a Turkish tea. It was then not too long until we reached Mostar. Our guide, Anna Maria ( I think) gave an excellent tour for about an hour. She gave us enough information about Mostar without overloading us with information and she gave us practical information so we could explore Mostar on our own ( for about two and a half hours). Again this was perfect timing to explore at a leaisurely pace, have a lovely lunch and then have a coffee before we left. 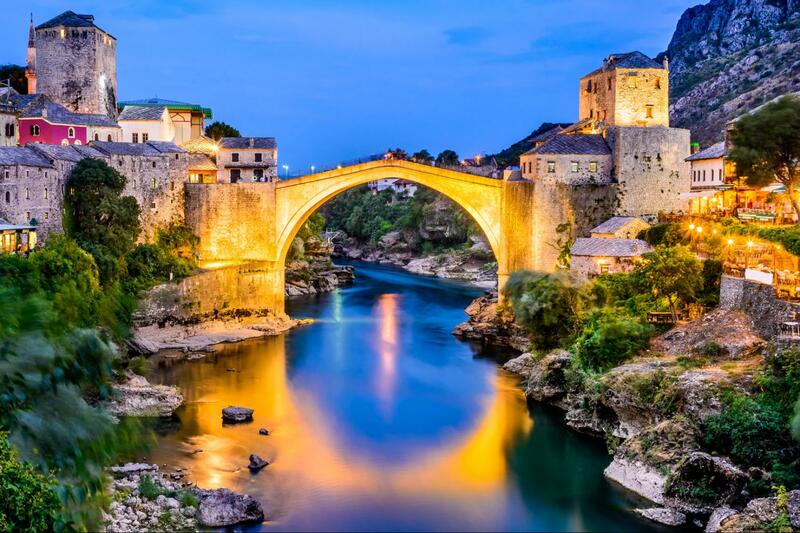 Mostar is beautiful. We then travelled for a while before reaching the Kravice Waterfalls and again had just the right length of time there - one hour. Boris always checked that we were ok and kept checking we didn’t need anything. Superb trip and I have already recommended this trip to others. All of the trip was exactly as advertised, the amount of time in each location was just about right and there was plenty of things to see any do. Very efficient trip to Medjugorje and Mostar.Guide at Mostar was very informative and friendly.Driver Ivan was efficient and I liked the fact he didn't talk all during the drive.